For aircraft masks please click on New Ware Masks logo. We are accepting VISA and VisaElectron, MasterCard and Maestro cards. We are also accepting PayPal payments. For more informations see Ordering Info section. IMPORTANT! If you are ordering more of our products, please consult with us shipping and handling fees (postage) - in most cases it will be reduced. Maximum shipping and handling fee is $ 40 for oversas clients (USA, Canada, Japan, Australia...). Maximum shipping and handling for European clients (including Great Britain) is $ 35. For ordering please send us an e-mail with list of ordered products, your country and specification of payment method to tom.nwkits@seznam.cz. In our answer you will get total price for confirmation. If the payment method is PayPal, we will send you also PayPal money request. NWS082 1/144 Titan II GLV kabuki masks for our NW082 1/144 Titan II GLV kit is available. NWM007 1/144 Sapceship Two and White Knight Two kabuki masks for Revell kit. NWM006 1/144 Boeing 747 SCA & Space Shuttle kabuki masks for Revell kit. NWM005 1/72 R-7 boosters masks for Mach-2 kits. 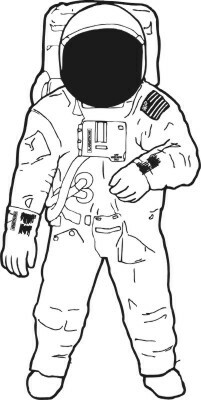 NWM002 1/72 Apollo 11 Saturn V masks is available. NWM003 1/72 Skylab Saturn V masks is available. 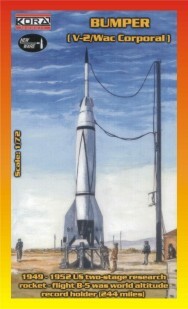 NW141 1/144 Saturn IB Apollo 1 conversion and detail set for Airfix is available. NW142 1/144 Saturn V Apollo 4 - first Saturn V flight - conversion and detail set for Airfix is available. 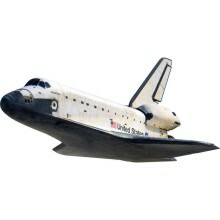 NW143 1/144 Space Shuttle Orbiter detail set for AIRFIX is available. NWM001 Space Shuttle Airbrush Masks was updated to NW001M and vinyl was replaced by Kabuki. NW140 1/144 Saturn IB SA-203 First Saturn IB Orbital Test conversion and detail set is available. 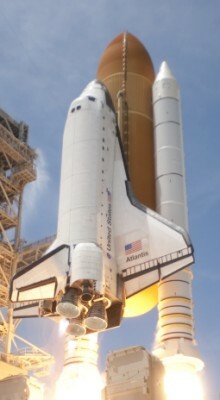 Photos of finsihed 1/144 Revell Space Shuttle with Boosters with applied NW131 detail set added. NW134 1/144 Space Shuttle Orbiter - detail set for any 1/144 Revell Space Shuttle Orbiter kit. New photos of NW131 1/144 Space Shuttle with Boosters parts, NW120 1/144 Antares from 2015 IPMS USA Nationals. NW131 1/144 Space Shuttle with Boosters - detail set for any 1/144 Revell Space Shuttle whole stack kit. New photos of LM model with NW068 detail parts by Cayetano Mas, NW082 1/144 Titan II GLV by David Harding..
NWD015 1/8 Apollo: Astronaut on the Moon Stencils added. 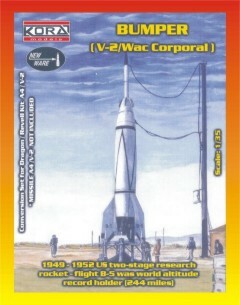 NW130 1/144 Mercury-Redstone - Liberty Bell 7 launch vehicle added. New photo of NW073, NW076 and NW077 1/144 Diamant LVs and NW092 1/144 R-7 Vostok LV added. New photos added to NW092 1/144 R-7 Vostok photos page. STARSHIP Modeler Reader Poll: Best Kits of 2000 - Winner of REAL SPACE ACCESSORIES OR CONVERSION Category is our NW008 1/96 SATURN V DETAIL SET. 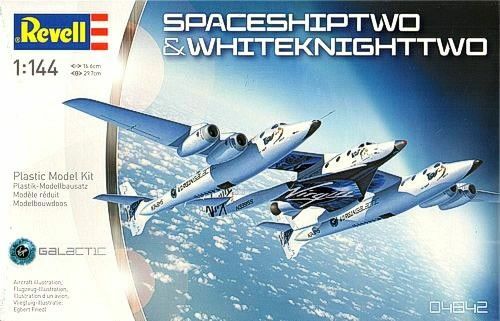 STARSHIP Modeler Reader Poll: Best Kits of 1999 - Winner of REAL SPACE ACCESSORIES OR CONVERSION Category is our NW004 1/144 MIR PE SET. STARSHIP Modeler Reader Poll: Best Kits of 1998 - Winner of REAL SPACE ACCESSORIES OR CONVERSION Category is our NW002 1/32 APOLLO COMMAND MODULE INTERIOR. Additional 21% VAT will be added to European Union customers. PE set for the Monogram 1/32 Apollo kit. DISCONTINUED due lack of interest. If you are interested in this kit, let us know and when there will be about 10 customers interested in this product, we will open the production again. 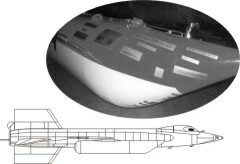 Resin kit of the R-36-0 Soviet military booster. 17 resin parts. PE set for the Revell 1/144 Mir kit. Includes solar arrays, EVA handles and others for Mir Space Station, EVA handles for Space Shuttle Cargo Bay and Habitat module. Also includes decal "MIR". 196 PE parts. PE set for any 1/96 Apollo kit from Revell (Saturn V, Apollo-Soyuz, Apollo+LM; makes Apollo Block II from Block I) or for 1/96 Apollo CSM from Real Space (possible improvement). Includes thermal radiator panels, crew hatch, window frames, EVA handles and others for Apollo Block II spacecraft. 24 PE parts. DISCONTINUED and replaced by NW204 1/48 Apollo CSM Block II H mission detail set for Dragon's kit. 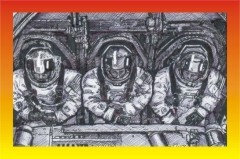 PE set for 1/48 Revell's Apollo CSM kit. Set contains basic parts allowing you to convert Apollo Block I to Block II spacecraft model but it is not solving all problems, just some of them. The only detail set solving all problems is...completely new Apollo kit. Detail set for 1/96 Revell's Saturn V kit. Set contains 79 resin and 124 PE parts for any Saturn V's manned mission. The set is containing NWD006 1/96 Saturn V decals and photo CD with 50 high resolution photos of Saturn V on display at NASA centres. 203 parts + 154 decals + 1 CD. NW008 with vacu Apollo BPC from RealSpace Models - also included in RealSpace Models 1/96 Apollo Block II CSM - for those modelers who have not this kit. Shipping and handling fees for European customers are $ 12. 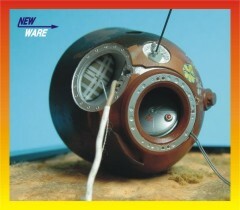 Construction kit of Soyuz spacecraft in 1/48 scale. Kit is allowing to build model of "male" early Soyuz (Soyuz 1,3,4) Kit is also including "docking ring" allowing to build model of Soyuz 4 - Soyuz 5 "first experimental space station". Construction kit of Lockheed Starclipper shuttle proposal (1968) in 1/144 scale. Construction kit of Viking 10 sounding rocket including launch pad. Construction kit Juno II launch vehicle. Conversion set for Tamiya's 1/48 Douglas F4D-1 Skyray (#61055). Construction kit of first manned spacecraft (12.4.1961 - Yuri Gagarin). Conversion set for Special Hobby's 1/48 X-15 A-2 (#48 008). Construction kit of Saturn I rocket. Use of NWS016 airbrush masks is highly recommended. Construction kit of Zond spacecraft. Construction kit of Atlas Centaur launch vehicle. Construction kit of early Atlas Centaur launch vehicle. Construction kit of GATV (Gemini Atlas Agena Target Vehicle) Launch Vehicle. Construction kit of Gemini 9 Augmented Target Docking Adapter Launch Vehicle. Construction kit of Lunar Orbiter / Mariner Launch Vehicle. 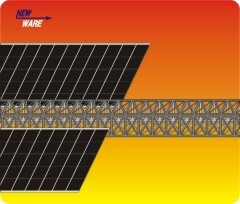 Construction kit of Application Technology Satellite Launch Vehicle. Construction kit of Ranger 6 lunar probe Launch Vehicle. Construction kit of Pioneer P-31 lunar satellite Launch Vehicle. Construction kit of MIDAS (Missile Defence Alarm System) Launch Vehicle. Construction kit of SAMOS (Satellite and Missile Observation System) Launch Vehicle. 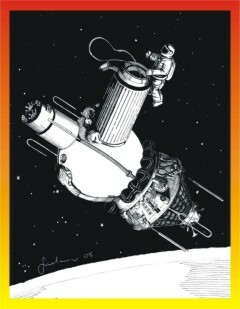 Construction kit of Voskhod 2 spacecraft including first EVA Leonov's figure. 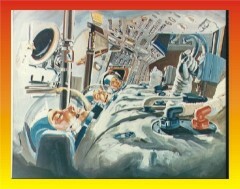 Construction kit of Sayut 1 first space station including Soyuz 11 spacecraft. Construction kit of Pioneer 1 Launch Vehicle. Construction kit of Tiros 1 Launch Vehicle. Construction kit of Discoverer XIII Launch Vehicle. Construction kit of Pioneer 33 Launch Vehicle. Construction kit of Jupiter C Launch Vehicle. Construction kit of Redstone tactical missile. Construction kit of Sparta launch vehicle. Construction kit of Thor intermediate-range ballistic missile. Construction kit of Atlas D intercontinental ballistic missile. Construction kit of Apollo 17 astronauts on the Moon. Kit contains also surface base. Construction kit of Alexei Leonov and Ed White on EVA. Construction kit of Mercury Atlas LV. Decals for John Glenn's first Mercury orbital mission are included. Construction kit of proposed Mercury Laboratory Atlas LV. 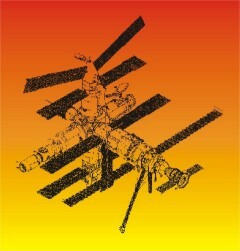 PE set for 1/144 Revell International Space Station kit (No. 04841). Set contains 2 trusses. Color of set is silver (set is galvanized). Construction kit of Delta M6 launch vehicle. Construction kit of N-1 launch vehicle. Construction kit of Thor Ablestar launch vehicle. Construction kit of Delta I launch vehicle. Contains parts for 1 launch vehicle model. Construction kit of Thor SLV-2A Agena D launch vehicle. Construction kit of Thorad SLV-2H Agena D launch vehicle. Construction kit of launch stand used for launching Redstone family rockets from Cape Canaveral. Construction kit of L-4S launch vehicle. Construction kit of Little Joe I launch vehicle. Construction kit of Little Joe II launch vehicle. Construction kit of N-2 launch vehicle. Postage of combined NW068 + NW069 order is $ 12. $ 60 + $ 14 (shipping and handling fees - registered air mail). Construction kit of CSS-3 IRBM - 2 color variants, test and operational missiles. Construction kit of Safir launch vehicle. Use of NWS082 airbrush masks is highly recommended. Use together with 1/48 Mercury/Gemini kit (Revell H-1834). $ 50 + $ 14 (shipping and handling fees - registered air mail). FAQ Why is New Ware manufacturing whole R-7 kits and not conversion sets for Airfix and (or) Apex kits? 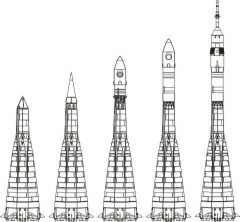 Construction kit of R-7 Vostok launch vehicle. Vostok 1 first manned spacecraft with Yuri Gagarin on board was launched into space by this launch vehicle on April 12th, 1961. Use of NWS092 Airbrush Masks is highly recommended. Ro Annis from Chicago, USA has got 2nd place with his 1/144 R-7 Vostok built from our kit - a note: Ro displayed frozen oxigen on tanks which appears on the R-7 rocket before launch after filling the rocket with fuel and oxidizer. $ 79 + $ 14 (shipping and handling fees - registered air mail). 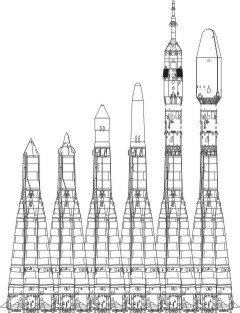 Construction kit of R-7 Luna launch vehicle. Luna 1 spacecraft was launched into space by this launch vehicle on January 2nd, 1959. $ 75 + $ 14 (shipping and handling fees - registered air mail). Construction kit of R-7 Sputnik 1 launch vehicle. Sputnik 1 spacecraft was launched into space by this launch vehicle on September 4th, 1957. Use of NWS111 Airbrush Masks is highly recommended. $ 73 + $ 14 (shipping and handling fees - registered air mail). Construction kit of R-7 Sputnik 2 launch vehicle. Construction kit of R-7 Sputnik 3 launch vehicle. 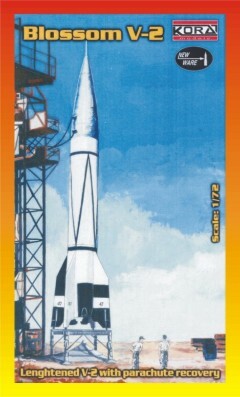 Construction kit of R-7 Polyot launch vehicle. 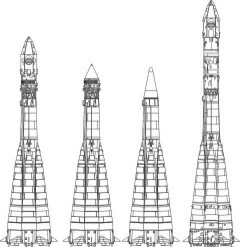 Construction kit of R-7 US-A launch vehicle. Construction kit of R-7 Zenit-2 launch vehicle. Detail set for building complete Apollo spacecraft consisting of CSM and LM. Set consist of NW068 and NW204 detail sets. 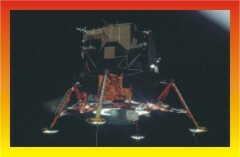 Use together with Dragon Apollo CSM H mission and Revell (Monogram) Lunar Module kits. 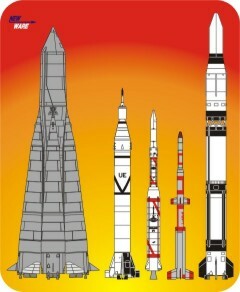 Construction kit of R-7 ICBM. Construction kit of Soyuz TM and TMA spacecrafts launch vehicle. When Ordering please specify decal version (for example NW111/TMA-8), see available versions. $ 99 + $ 14 (shipping and handling fees - registered air mail). 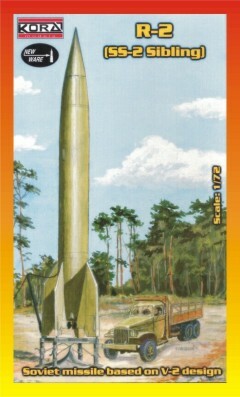 Construction kit of R-7 Voskhod 1 or 2 launch vehicle. $ 95 + $ 14 (shipping and handling fees - registered air mail). 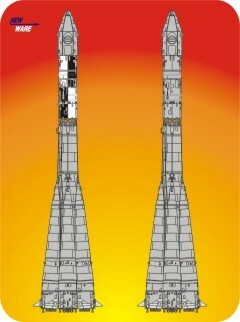 Construction kit of R-7 Soyuz Progress M launch vehicle. Construction kit of R-7 Soyuz 2 (ST) launch vehicle. Construction kit of R-7 Soyuz Pirs launch vehicle. Construction kit of R-36M UTTKh Intercontinental Ballistic Missile. 10 resin parts + 4 decals + 15 kabuki masks, lenght 238 mm. $ 40 + $ 9 (shipping and handling fees - registered air mail). Construction kit of Dnepr Launch Vehicle. 10 resin parts + 9 decals + 15 kabuki decals, lenght 238 mm. Construction kit of Antares rocket with Cygnus ISS resuply ship. Model is 28 cm long. $ 69 + $ 14 (shipping and handling fees - registered air mail). 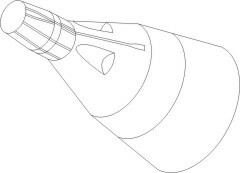 Construction kit of Thor Agena B rocket with Alouette 1. Alouette 1 was Canada's first satellite, and the first satellite constructed by a country other than the USSR or the United States. Canada was the fourth country to operate a satellite, as the British Ariel 1, constructed in the United States by NASA, preceded Alouette 1 by five months. 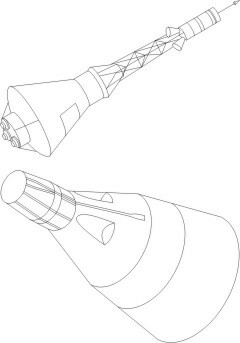 Construction kit of Thor Agena B rocket with ECHO 2 satellite. Construction kit of Thor Agena B rocket with SAMOS spy satellite. Construction kit of Thor Agena B rocket with NIMBUS 2 meteorological satellite. 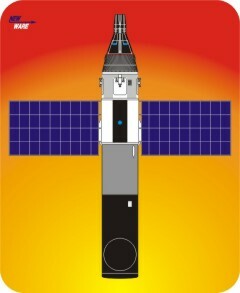 Construction kit of Thor SLV-2A Agena B rocket with SAMOS spy satellite. 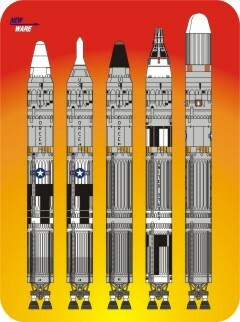 Detail set for Airfix 1/144 Saturn V - Apollo kit (A11170). Use of NWS127 Airbrush Masks is highly recommended. 152 parts (55 resin + 97 PE) + photo CD. A lot of spare parts, both resin and PE, especially when the part is small or delicate. For owners of old 09170 Airfix kit with incorrect Apollo (wrong diameter and Block I surface of Service Module) I can recommend this: Buy Airfix A11150 Saturn V Skylab and you will get not only the Skylab LV kit, but also parts needed to update your 09170 kit to the level of correct A11170 kit. Don't forgot to buy our NWD007 decals.Two in one. Detail set for Airfix 1/144 Saturn V - Skylab kit (A11150). Use of NWS128 Airbrush Masks is highly recommended. 120 parts (41 resin + 79 PE) + photo CD. A lot of spare parts, boh resin and PE, especially when the part is small or delicate. 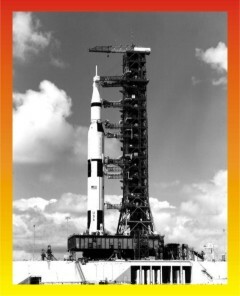 Launch Stand for any Airfix or Revell/Monogram 1/144 Saturn V kit. For Airfix kit use of NW127 or NW128 detail set is highly recommended. 37 parts (34 resin + 3 PE). Spare PE part. Construction kit of Mercury-Redstone launch vehicle with spacecraft of Gus Grissom. 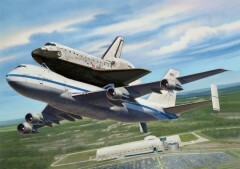 Detail set for any Revell 1/144 Space Shuttle whole stack kit. Use of NWS133 Airbrush Masks is highly recommended. What is wrong about old Airfix 1/144 Saturn IB kit? Construction kit of launch vehicle. Conversion and detail set for ANY Airfix 1/144 Saturn IB kit. In memory of Virgil Ivan Grissom, Edward Higgins White and Roger Bruce Chaffee, Apollo 1 crew, killed by fire druing a launch rehearsal test on January 27, 1966 at Cape Kennedy Air Force Station Launch Complex 34. 137 parts (60 resin + 77 PE) + photo CD. A lot of spare parts, both resin and PE, especially when the part is small or delicate. Sven Knudson's review of NW127 1/144 Saturn V - Apollo detail set. NW142 is based on this set. Construction kit of R-7 Voskhod - Zenit 2 spy satellite launch vehicle. 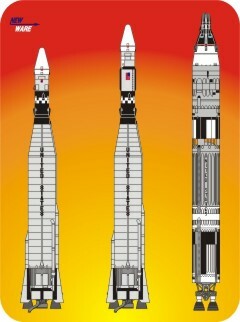 Construction kit of R-7 Molniya - Mars 1 launch vehicle. Construction kit of R-7 Molniya - Venera, Mars, Luna interplanetary spacecrafts launch vehicle. Detail set for Dragon's 1/72 Apollo 11 "Lunar Approach"(cat. no. 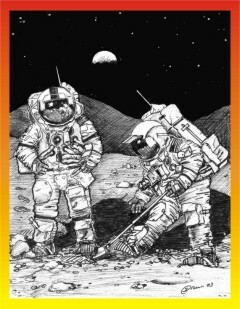 11001) or Apollo 11 "Lunar Landing"(cat. no. 11002) kits. Detail set for Dragon's 1/72 Apollo 11 Apollo 11 "Lunar Landing"(cat. no. 11002) kits. 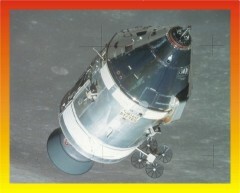 Detail set for Dragon's 1/48 Apollo CSM kit. Construction kit of Bumper research rocket. Kit is produced in cooperation with KORA models. Conversion set for Revell/Dragon 1/35 V-2 construction kit. Set is produced in cooperation with KORA models. Construction kit of R-1 first operational soviet missile. Kit is produced in cooperation with KORA models. 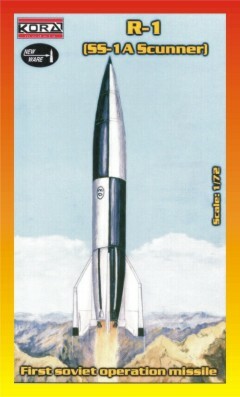 Construction kit of R-2 soviet missile based on V-2. Injection molded construction kit of X-15 A-2 (with resin detail parts). Injection molded construction kit of V-2. Discontinued! Replaced by NWD006 1/96 Saturn V decals and NWD007 1/144 Saturn V decals. 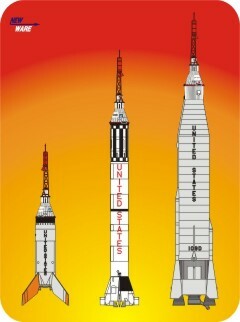 Both sets are including ALL Saturn V decals including decals for all manned and unmanned missions. 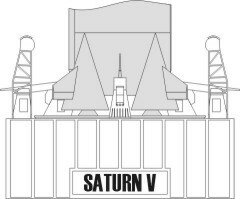 For those who are interrested in some other than Saturn V decals - please ask me for specific decals and I'll find them for you in waste NWD001 sheets (problem is ussually off-registered US flags for 1/96 Saturn V, the rest is ussually OK). NWD001 Set of decal sheets for Saturn V 1/96 etc. Set consists of 438 decals for all Mercury, Gemini and Apollo lunar missions. 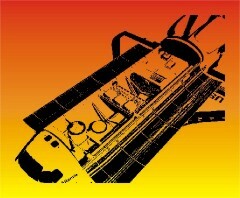 Set consists of 305 decals for all Gemini missions. Set consists of 154 decals for 1/96 Revell's Saturn V kit. Set consists of 154 decals for 1/144 Revell/Monogram or Airfix kits. 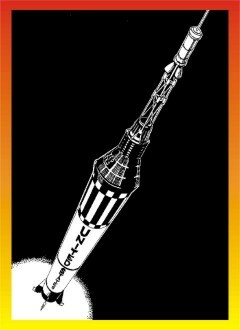 Set consists of 124 decals for 1/144 R-7 (ICBM - Sputnik - Vostok - Voskhod - Soyuz) kits. Set consists of 48 decals for 1/72MPM or Revell/Monogram X-15 A-2 kit. 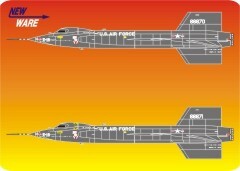 Set consists of 124 decals for 1/72 Mach 2 R-7 kits. 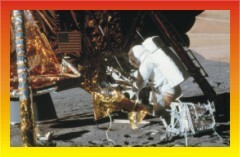 Set consists of 55 decals for any 1/96 Apollo kit. Set consists of 124 decals for 1/100 MPC Vostok Rocket. 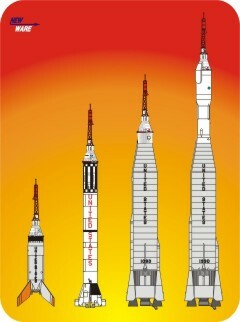 Set consists of 162 decals for 1/72 Dragon Apollo 11 Saturn V kit including decals for Apolllo CSM and LM. Set consists of 98 decals for any 1/72 Dragon Apollo kit. 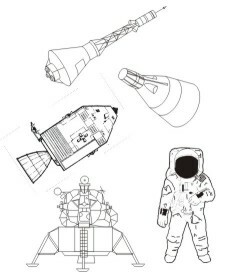 Set consists of 10 stencil decals for 1/8 Revell Apollo: Astronaut on the Moon kit (H-1860, 04826 or maybe other catalogue number. Free postage if ordered together with any other kit or detail set product. Set consists of 297 decals for 1/48 Revell or Monogram Mercury and Gemini kit. All manned missions of Mercury and Gemini are included. The set is corresponding to part of discontinued NWD003. Free postage if ordered together with any other other kit or detail set product. 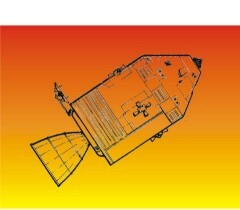 Set consists of 17 decals for 1/72 Dragon Mercury-Redstone kit with correct UNITED STATES letters. 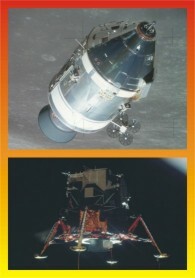 Both manned missions Freedom 7 and Liberty Bell 7 of Mercury. 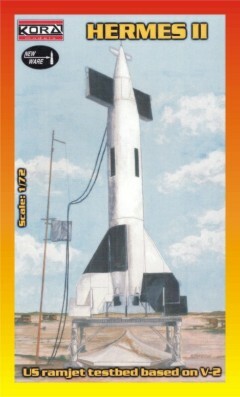 We are recommending to modelers to build Liberty Bell 7 launch vehicle, as Freedom 7 cabin is not included in the kit. New Ware will release detail set for the kit in 2015. The set will include correct Freedom 7 cabin, completely new Redstone booster with high level of details. In instructions of the set drawing on which will be based the detail set is included, so you can compare how much the kit is corresponding to real subjects. The set contains Kabuki airbrush masks for 1/144 Space Shuttle orbiter. Set is intended to use together with any 1/144 Space Shuttle kit by Revell and NW131 1/144 Space Shuttle with boosters detail set or NW134 1/144 Space Shuttle orbiter detail set and 1/144 Space Shuttle decals by Real Space Models. All masks are made from Kabuki masking foil. Leading masks are made from Oracal vinyl foil. The set contains airbrush masks for MPC kit no. MPC 792/6. All masks are made from Kabuki masking foil. 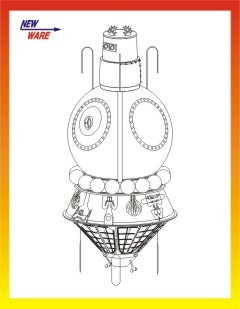 The set contains airbrush masks for New Ware NW082 1/144 Titan II GLV kit. The set contains airbrush masks for Airfix 1/144 Saturn V-Apollo kit (A11170). Using together with our NW127 1/144 Saturn V - Apollo detail set is highly recommended, but you can use them with the Airfix kit only. All masks are cutted from Tamiya "Kabuki" masking foil. The set contains airbrush masks for Airfix 1/144 Saturn V-Skylab kit (A11150).Using together with our NW128 1/144 Saturn V - Skylab detail set is highly recommended, but you can use them with the Airfix kit only. All masks are cutted from Tamiya "Kabuki" masking foil. The set contains airbrush masks for Airfix 1/144 Saturn IB Apollo kit (A06172).Using together with our NW133, NW139 and NW140 1/144 Saturn IB detail and conversion sets is highly recommended, but you can use them with the Airfix kit only. Masks are made from Tamiya "Kabuki" masking foil. Support our plans by buying our kits! IMPORTANT FOR EUROPEAN UNION CLIENTS.As you sure know, Czech Republic has joined on May 1st, 2004 EU. Since this date 21% VAT will be added to any EU order. We are accepting VISA and MASTERCARD cards. If you want to pay us by credit card, send an order to tom.nwkits@seznam.cz. I will send you an answer with calculation of total price in CZK (Czech Koruna) and secure payment link of GP Webpay Europe, which was generated by me. You will receive the same link also in separate e-mail directly from GP Webpay. After your payment I will be immediatelly informed by GP Webpay and I will continue work on your order. If you are making payment by Pay Pal you must email me first with your order at tom.nwkits@seznam.cz. I will calculate the exact amount of postage and the total cost of your order in Czech Koruna, including the 20% VAT for customers within the European Union, and send the information to you. Actually using Pay Pal is simple. Just log onto Paypal.com and type in New Wares email address which is tom.nwkits@seznam.cz. On the menu showing currency select Czech Koruna (Czech Crowns). Insert the amount in Czech Koruna that was provided in my return email. You can send us Postal Money Order (possible for example from Germany, Spain, France..., but NOT from Great Britain and Canada). In most cases, this involves sending payment to a central location which forwards the payment to me. You will not be sending the payment directly to me (so please don´t send me any postal money order checks, they are not payable here in the Czech republic). At Czech Post Headquaters said me, that this results from rules of UPU (Universal Postal Union). Please inquire at your local post office if you have any questions about International Postal Money Orders. For example: in the USA you have to buy a Voucher (see the form you have to fill out) at the post office for the amount of the money order. Then yhou fill out the Voucher and mail it to the office in St. Louis, where the International Money Order will be sent to the Czech Republic, and then to me (that´s description of one of our customers). This will takes about one month. If sending us money via Western Union Money Transfer, please send me via e-mail sent amount, your address and Money Transfer Control Number. To obtain a quick reply send us the letter via registered air mail (surface mail from the North America to the Czech republic takes about 6 weeks, air mail 2 weeks, for European customers the surface mail is also suitable). If you order bigger amount of our products, please consult with us shipping and handling fees (in most cases it will be reduced). Your order will be shipped as quickly as possible, almost always within one week.